Tasty Tuesday – It’s an Easy, Relatively Low Fat, No Bake Cheese Cake! | whyallthefuss? It’s my favorite day, Tasty Tuesday! Can I get a woot woot?! Today I wanted to feature an easy go to desert for my summer picnics. My neighbor brought this dish to a dinner party we had and I simply had to have the recipe (Thank you Erica and family). Not only is it super easy to make, but it is super pleasant on the taste buds. 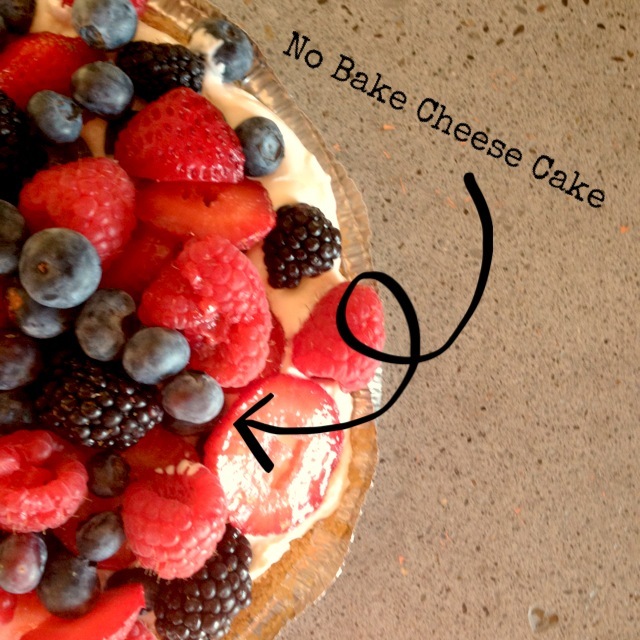 This is a relatively low fat, no bake cheese cake that you can top with whatever berries you want or that are in season! Mix ingredients, spray baking dish, Add mix to pie dish and bake for 8 minutes on 350F. Take out of oven and cool. Beat the Cream Cheese with a mixer and then add Sour Cream, Brown Sugar and Vanilla. Last fold in the Cool Whip. Place in Graham Cracker crust and refrigerate until ready to serve. 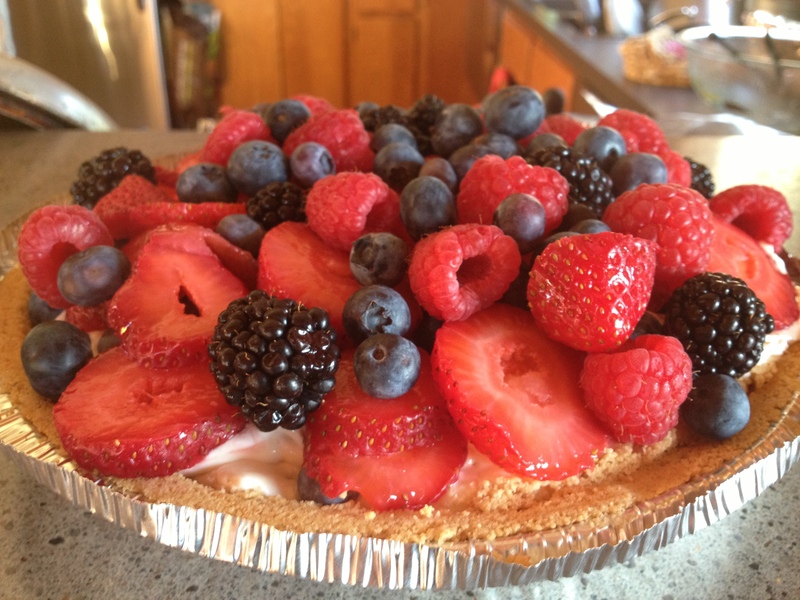 Then add your favorite berries on top! OK, there you have it! This seriously is one of the easiest, yummiest, relatively healthy for a desert recipes! I sometimes cheat and use a pre-made graham cracker crust, but it tastes just as good. What have you been making with summer-time berries? What kind of deserts are you taking to your picnics? Pingback: Deviled Eggs Becomes a 4th of July Must: Traditional Recipe | whyallthefuss?